Erwin Rommel was a complex man: a born leader, brilliant soldier, a devoted husband and proud father; intelligent, instinctive, brave, compassionate, vain, egotistical, and arrogant. In France in 1940, then for two years in North Africa, then finally back in France again, at Normandy in 1944, he proved himself a master of armored warfare, running rings around a succession of Allied generals who never got his measure and could only resort to overwhelming numbers to bring about his defeat. And yet for all his military genius, Rommel was also naive, a man who could admire Adolf Hitler at the same time that he despised the Nazis, dazzled by a Führer whose successes blinded him to the true nature of the Third Reich. Above all, he was the quintessential German patriot, who ultimately would refuse to abandon his moral compass, so that on one pivotal day in June 1944 he came to understand that he had mistakenly served an evil man and evil cause. He would still fight for Germany even as he abandoned his oath of allegiance to the Führer, when he came to realize that Hitler had morphed into nothing more than an agent of death and destruction. 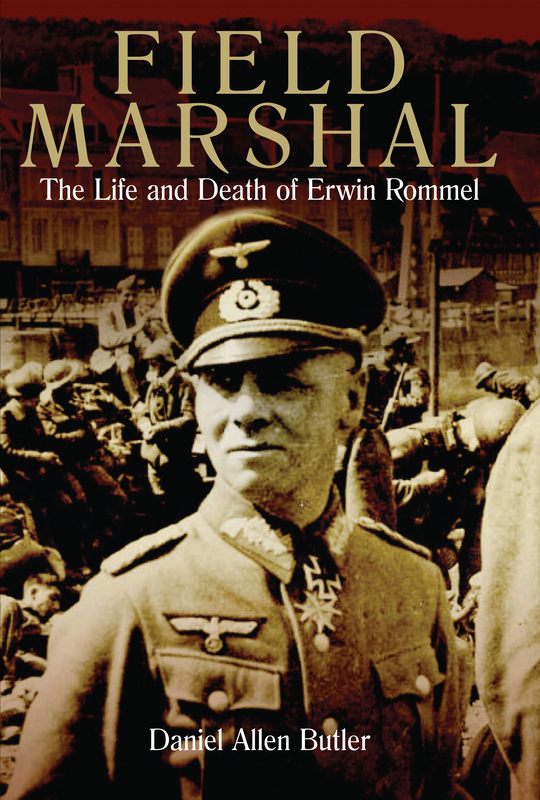 In the end Erwin Rommel was forced to die by his own hand, not because, as some would claim, he had dabbled in a tyrannicidal conspiracy, but because he had committed a far greater crime – he dared to tell Adolf Hitler the truth. 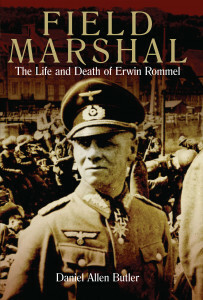 In Field Marshal historian Daniel Allen Butler not only describes the swirling, innovative campaigns in which Rommel won his military reputation, but assesses the temper of the man who finally fought only for his country, and no dark depths beyond. Just before midnight on April 14, 1912, the ocean liner Titanic struck an iceberg. Less than three hours later, she lay at the bottom of the Atlantic Ocean, having taken with her more than 1,500 of the roughly 2,200 people on board. Even now, a century later, no other ship in history has attracted so much attention, stirred up suchpowerful emotion, or accumulated as many myths and legends. 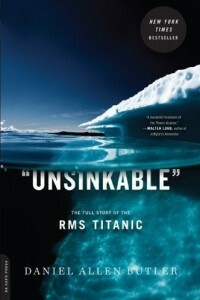 “Unsinkable” provides a fresh look at the RMS Titanic’s incredible story. 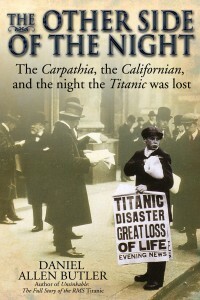 The first modern work to give a comprehensive picture of the Titanic and the people intertwined with her fate, from disaster to recovery, drawn from primary sources and contemporary accounts and updated to coincide with the April 2012 anniversary, this new heart-rending narrative allows readers to come to their own conclusions about this legendary vessel. 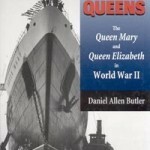 Following the great ship from her conception to her fateful collision to the ambitious attempts to salvage her right up to the present day, Daniel Allen Butler draws on thirty years of research to explore the tragedy and its aftermath in remarkable depth and detail. The result is a must-read for anyone interested in the Titanic. Updated and revised for the 2012 centennial of the Titanic disaster, this edition features an exclusive new foreword and postscript by the author. After every disaster, someone has something to hide . . .
A few minutes before midnight on April 14, 1912, the “unsinkable” RMS Titanic, on her maiden voyage to New York, struck an iceberg. Less than three hours later she lay at the bottom of the Atlantic Ocean. While the world has remained fascinated by the tragedy, the most amazing drama of those fateful hours was not played out aboard the doomed liner. It took place on the decks of two other ships, one fifty-eight miles distant from the sinking Titanic, the other barely ten miles away. The masters of the steamships Carpathia and Californian, Captain Arthur Rostron and Captain Stanley Lord, were informed within minutes of each other that their vessels had picked up the distress signals of a sinking ship. Their actions in the hours and days that followed would become the stuff of legend, as one would choose to take his ship into dangerous waters to answer the call for help, while the other would decide that the hazard to himself and his command was too great to risk responding. After years of research, Daniel Allen Butler now tells this incredible story, moving from ship to ship on the icy waters of the North Atlantic-in real-time-to recount how hundreds of people could have been rescued, but in the end only a few outside of the meager lifeboats were saved. 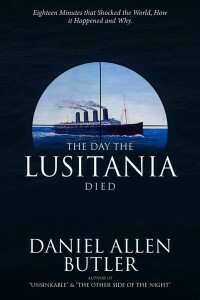 He then looks alike at the U.S. Senate Investigation in Washington, and ultimately the British Board of Trade Inquiry in London, where the actions of each captain are probed, questioned, and judged, until the truth of what actually happened aboard the Titanic, the Carpathia and the Californian is revealed. The history of the Ottoman Empire spanned more than seven centuries. At the height of its power, it stretched over three continents and produced marvels of architecture, literature, science, and warfare. When it fell, its collapse redrew the map of the world and changed the course of history. Shadow of the Sultan’s Realm is the story of the empire’s dissolution during a tumultuous period that climaxed in the First World War. 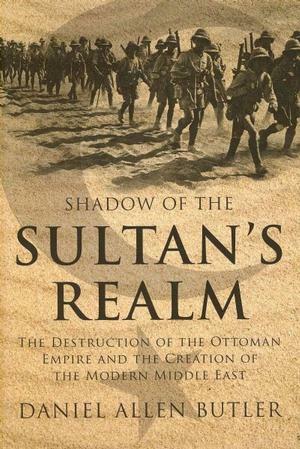 The story of the last days of the Ottoman Empire is one that deserves to be told for its own sake. In the middle of the sixteenth century, while feudal Europe was still coalescing into true nation states the reached its apogee as the dominant military, economic, cultural, and religious power in the world. 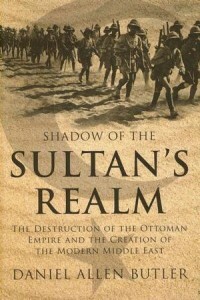 In the second decade of the twentieth century after almost three hundred years of decline had reduced the Ottoman realm to such an enfeebled status that it was known as the Sick Man of Europe, it was still able to rise up a final time in one great act of defiance and confound the strategies of the Great Powers, demanding a measure of respect it had long since been denied, and challenging the combined military might of Russia, France, and the British Empire. In its telling are battles and campaigns that have become the stuff of legend–Gallipoli, Kut, Beersheeba–waged by men who have become larger than life: Enver Bey, the would-be patriot who was driven more by ambition than by wisdom; T. E. Lawrence (‘Lawrence of Arabia’), the enigmatic leader of an irregular war against the Turks; Aaron Aronsohn, the Jewish botanist-turned-spy, who deceived the Turks and his British allies with equal facility; David Lloyd George, the prime minister for whom power meant everything, integrity nothing; Mehmet Talat, who gave the orders that began the Armenian massacres; Winston Churchill, who conceived of the Gallipoli campaign, which should have been the masterstroke of the Great War; Mustafa Kemal, a gifted soldier who would become a revolutionary politician; David Balfour, the British foreign secretary who would promise anything to anyone; and Edmund Allenby, the general who failed in the trench warfare of the western front but fought brilliantly in Palestine. Daniel Allen Butler weaves the stories of the men and the events they propelled into a compelling narrative of the death of an empire. Its legacy is the cauldron of the modern Middle East. The conflagration that consumed Europe in August 1914 had been a long time in coming-and yet it need never have happened at all. For though all the European powers were prepared to accept a war as a resolution to the tensions which were fermenting across the Continent, only one nation wanted war to come: Imperial Germany. Of all the countries caught up in the tangle of alliances, promises, and pledges of support during the crisis that followed the assassination of Archduke Franz Ferdinand, Germany alone possessed the opportunity and the power to determine that a war in eastern Europe would become The Great War, which swept across the Continent and nearly destroyed a thousand years of European civilization. For nearly nine decades it has been argued that the responsibility for the First World War was a shared one, spread among all the Great Powers. 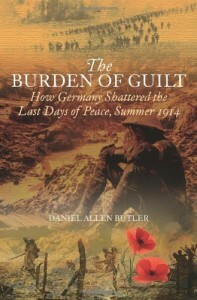 Now, in The Burden of Guilt, historian Daniel Allen Butler has substantively challenged that point of view, establishing that the Treaty of Versailles was actually a correct and fair judgment: Germany did indeed bear the true responsibility for the Great War. Working from government archives and records, as well as personal papers and memoirs of the men who made the decisions that carried Europe to war, Butler interweaves the events of summer 1914 with portraits of the monarchs, diplomats, prime ministers, and other national leaders involved in the 1914 crisis. He explores the national policies and goals these men were pursuing, and shows conclusively how on three distinct occasions the Imperial German government was presented with opportunities to contain the spreading crisis-opportunities unlike those of any other nation involved-yet each time, the German government consciously and deliberately chose the path which virtually assured that the Continent would go up in flames. 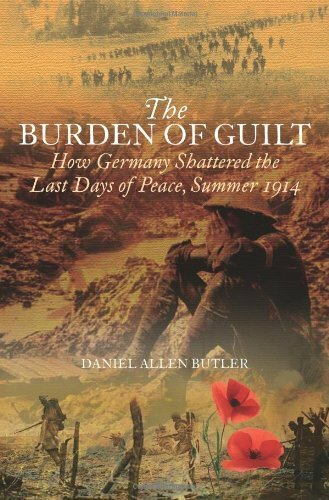 The Burden of Guilt is a work destined to become an essential part of the library of the First World War, vital to understanding not only the “how” but also the “why” behind the pivotal event of modern world history. Before there was Osama bin Laden, Abu al-Zarqawi or Ayatollah Khomeini, there was the Mahdi-the “Expected One”-who raised the Arabs in pan-tribal revolt against infidels and apostates in the late 19th-century Sudan. Born on the Nile in 1844, Muhammed Ahmed grew into a devout, charismatic young man, whose visage was said to have always featured the placid hint of a smile. He developed a ferocious resentment, however, against the corrupt Ottoman Turks, their Egyptian lackeys, and finally the Europeans who he felt held the Arab people in subjugation. In 1880, he raised the banner of holy war, and thousands of warriors flocked to his side. The Egyptians dispatched a punitive expedition to the Sudan, but the Mahdist forces destroyed it. In 1883, Col. William Hicks gathered a larger army of nearly 10,000 men. Trapped by the tribesmen in a defile at El Obeid, it was massacred to a man. Three months later, another British-led force met disaster at El Teb. Prime Minister William Gladstone ordered a withdrawal from Sudan, and dispatched one of Victoria’s most celebrated heroes, General Charles “Chinese” Gordon, to effect the evacuation. Instead, Gordon was besieged by the Mahdi at Khartoum. In an epic contest pitting military innovation and discipline against religious fervor, the Mahdi and Gordon dueled throughout 1884, while the British government hesitated to send relief. On January 26, 1885 a treacherous native (or patriot, depending on one’s point of view) let the Mahdist forces into the city of Khartoum. Gordon, realizing that the end was at hand, donned a white uniform, took up his sword, and walked out upon his palace steps. He was hacked to death by jihadists and his head was carried around the city on a pole. A British relief column arrived two days later. The Mahdi died shortly afterward, yet his revolt had succeeded. The British vacated the territory for almost 15 years until in 1899, led by Herbert Kitchner, they returned to forestall encroachments by other European powers. The Mahdist forces were crushed at the Battle of Omdurman, and the great jihad temporarily dissolved into the desert, not to be renewed for another century. In today’s world the Mahdi’s words have been repeated almost verbatim by the Muslim jihadists who have attacked New York, Washington, Madrid and London, and continue to wage war from the Hindu Kush to the Mediterranean. Along with Saladin, who once defeated a holy war, the Mahdi stands as an Islamic icon who once launched his own successful crusade against the West. This deeply researched work reminds us that the “clash of civilizations” that supposedly came upon us in September 2001 in fact began much earlier. 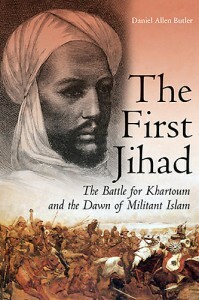 This book is essential reading for all those who seek to understand the roots of our current relationship with Islam. 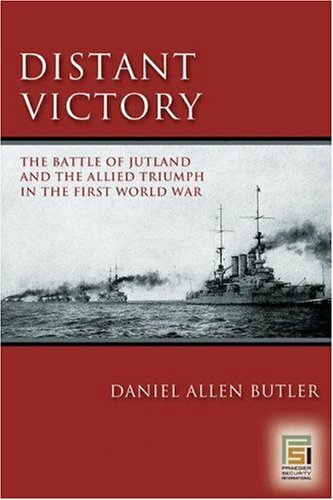 D istant Victory is the story of the great sea fight at Jutland, told as more than a mere balance sheet of ships sunk and lives lost, or an account of which fleet fled before the other. Rather, it is an a retelling of the battle that reveals its long-term consequences set in motion by the decisions both the Germans and the British made as a result of each fleet’s experience at Jutland. While the German High Seas Fleet could claim a tactical victory because it sank more ships and inflicted higher casualties on the Royal Navy’s Grand Fleet than the British did to the Germans, the British could rightly claim that strategically they won the battle, for when it was over the German warships had retreated to the safety of their harbors, having failed in their objective of defeating the Grand Fleet in detail. For almost a hundred years the Battle of Jutland has been history’s most hotly debated and least understood naval action. Treated usually as a tactical German victory or else as a draw, and dismissed as strategically indecisive, it has been remembered by historians as for its lost opportunities, mistakes, and sheer scale, the largest naval surface action ever fought and the greatest clash of battleships the world would ever see. 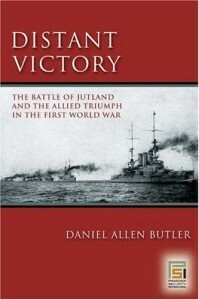 Distant Victory is thebook about Jutland to present it one of the decisive battles of the First World War. Unravels the mystery of the tragic event that drew the U.S. into World War I Provides rare first-person accounts from survivors of the disaster The sinking of the Lusitania has long been perceived as the reason the United States went to war in 1917. 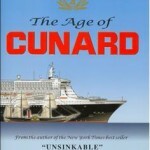 But according to Daniel Allen Butler, author of Unsinkable, the story is much more complex. Butler makes extensive use of primary accounts, letting the participants tell their stories in their own words. 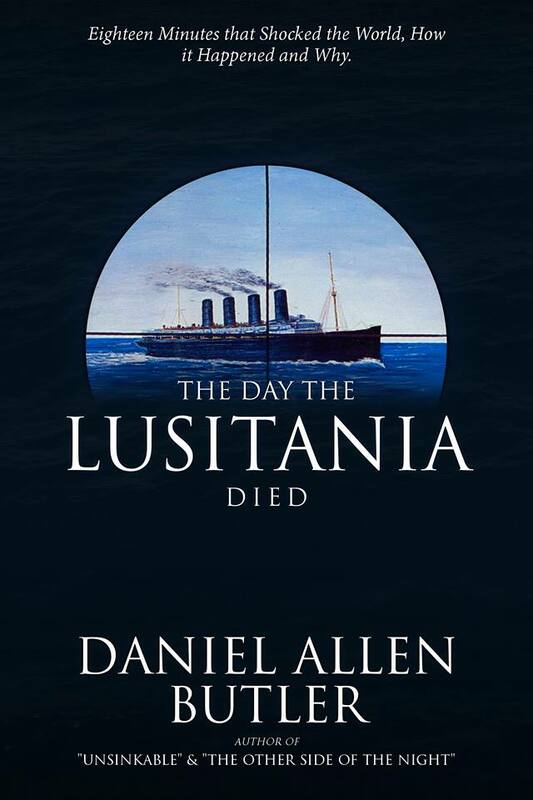 More than simply chronicling the events leading up the sinking, The Lusitania follows the rescue and fate of the people aboard her; recounts the inquiry after the sinking, led by none other than Lord Mersey of the Titanic inquiry fame; and explains why and how the sinking of the Lusitania by a German U-20 set the tone for the twentieth century’s interpretation of “total war.” Note: this is a revised and updated edition of The Lusitania — the Life, Loss, and Legacy of an Ocean Legend, originally published in 2000 by Stackpole Books. Also available in Kindle format! Coming soon as an ebook! In 1840 Samuel Cunard, a Halifax, Nova Scotia businessman, took possession of a quartet of small paddlewheel steamers and formed the British and North American Royal Mail Steam Packet Company, soon to become known as simply the Cunard Line, the first–and ultimately last–great transatlantic passenger service. In the more than 160 years that followed, the Line came to embrace and embody the glamour and the glory of the North Atlantic run, with its luxurious ships, its Blue Ribband speed records, and its glittering passenger lists. Yet there was far more to the story than just glory and glamour. The Line and the services it provided would ultimately change the world. It transformed the flow of European emigrants to America from a trickle into a flood, changing the face and character of two continents; at the same time, by propelling British shipbuilding, steam engineering and steelmaking to feats of construction and production that had never before been imagined, it spurred them to become the driving forces behind the dynamics of Victorian Britain, ushering in an era of social, economic and political progress on a scale never before seen. It would be an exciting, sometimes tumultuous, occasionally troubled, story. The Line would face showdowns with rivals at home and abroad, some explicitly dedicated to driving Cunard from the North Atlantic. It would endure the carnage of two World Wars, and in the Second provide the Allies with margin of victory in Europe. And when the demand for the services that Cunard had long provided changed with the dawning of the air age, the number of passengers simply seeking transportation across the Atlantic rapidly dwindling, the company successfully reinvented itself to adapt to the world of cruising, so that when it could no longer fulfill a need, it satisfied a desire. Of course, the Cunard story would include some of the most wonderful, beautiful, and amazing ships that ever to put to sea: the little Britannia, the paddlewheeler that started it all; the elegant Carmania and Caronia, the “Pretty Sisters;” the bold and powerful record-setters Lusitania and Mauretania; the graceful Aquitania, said to possess the most beautiful interior ever put into a ship; the mighty Queen Mary and Queen Elizabeth; and the new Queen Mary 2, the most awesome passenger liner ever built. 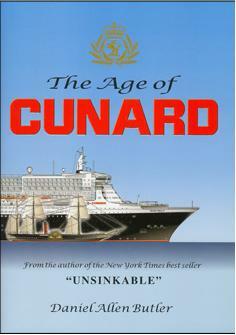 Indeed, the story of the Cunard Line is at times very much a history of shipbuilding. Still, the heart and soul of The Age of Cunard is found not in a recitation of ships and statistics, but in the men and women who brought the Line to life. Here is an opportunity to meet the stokers of the “Black Gang,” shoveling coal into the insatiable maws of the boilers; the stewards and stewardesses who were dedicated to catering to their passengers’ every whim; to the captains, officers, and seamen who responsible for safely navigating the ships; and finally the passengers, who were the reason the Line existed. The Age of Cunard brings the whole amazing tale vibrantly alive, from the tiny Britannia of 1840, to the Queen Mary 2, the new leviathan which is the ultimate confirmation of all that Samuel Cunard had once striven to achieve. The black-hulled ships with the unique orange-red funnels have set the Cunard seal for all time over passenger travel on the North Atlantic: just as the ships of the Cunard Line were the first to regularly sail the great northern ocean, now they are the last passenger liners still making that crossing. From beginning to end, the years of the great passenger ships were truly The Age of Cunard.